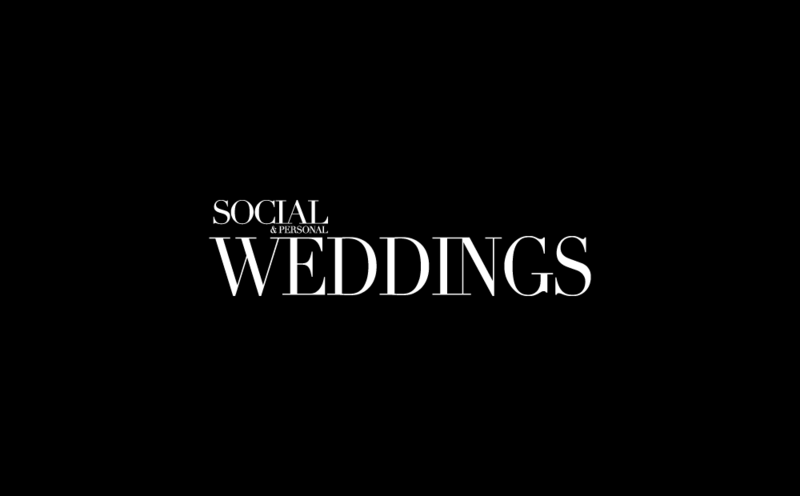 So, the festive season is upon us and so is your festive wedding. 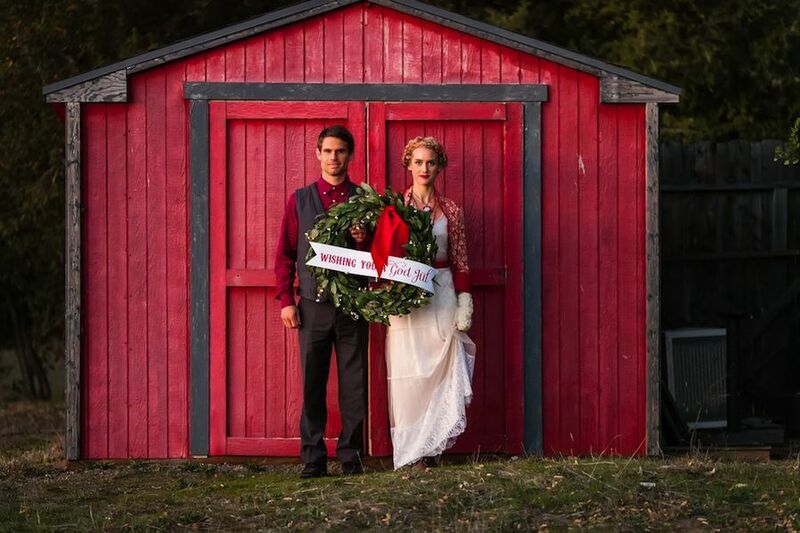 Not everyone decides to make their wedding Christmas themed just because they decided to have it at Christmas time. The main thing is that you're wedding is what you want it to be. But in the lead up to Christmas, we can all get into a bit more of a festive mood than we might have been in eight months ago when we were planning the wedding. It's not uncommon for couples to suddenly want to inject a bit of last-minute festive cheer into their nuptials, even if it wasn't part of the original plan. Obviously, if you're getting married in the 2018 festive season it's too late for you to change your entire colour scheme or send out festive stationery. But don't worry, we have plenty of last-minute ideas that you can put together without too much effort or expense. Check out these festive centrepieces. 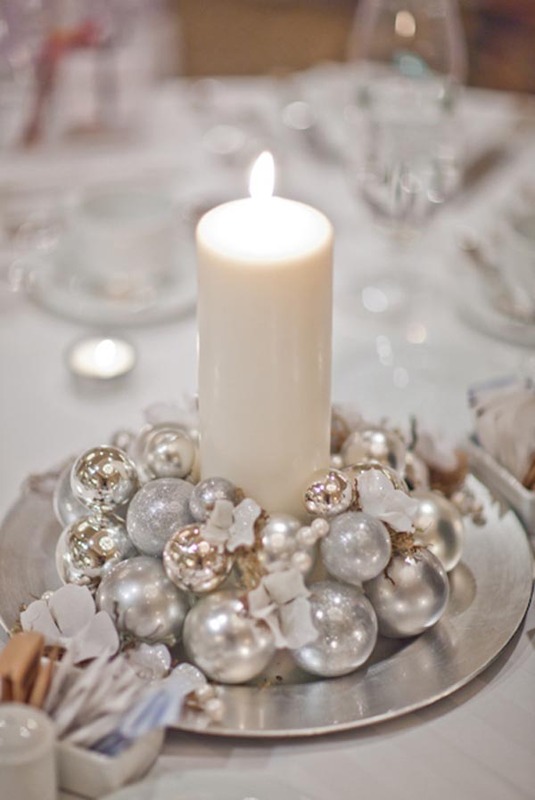 Using Christmas baubles in a bowl as your table centrepiece is a great Christmassy addition to any wedding. 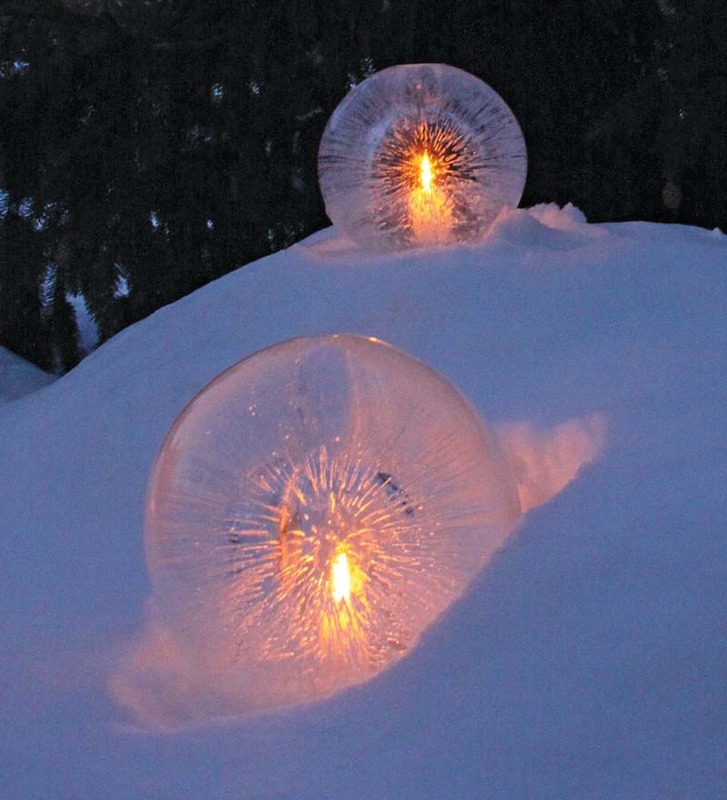 Or if you want to try these magical lights, you just need a balloon and a tea light. These are perfect for walkway accents, especially for outdoor winter photographs. Simply fill a balloon with water and set outside or in the freezer until almost frozen through. Run hot water over frozen globe until balloon pops off and the ice is clear. Then, pour out any excess water from inside and insert a tea light. 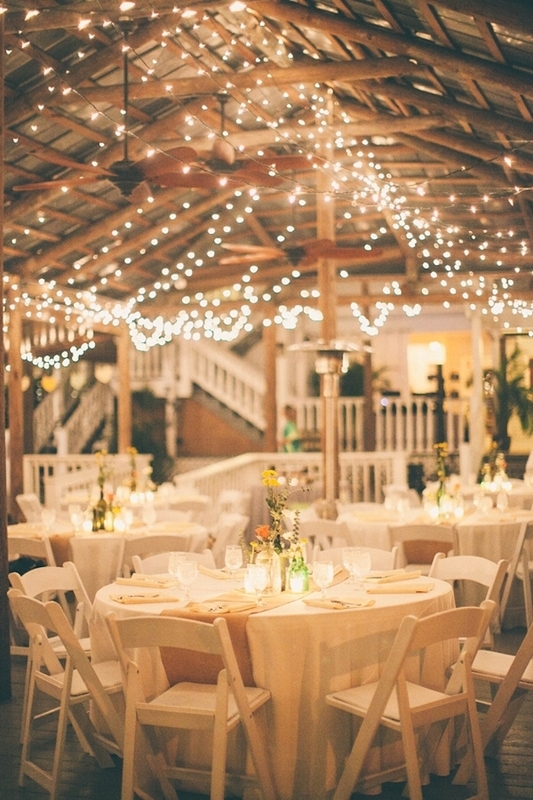 Another simple way to add a touch of Christmas to your wedding is to add fairy lights. Fairy lights look very magical especially as the night rolls in and they're fairly inexpensive. 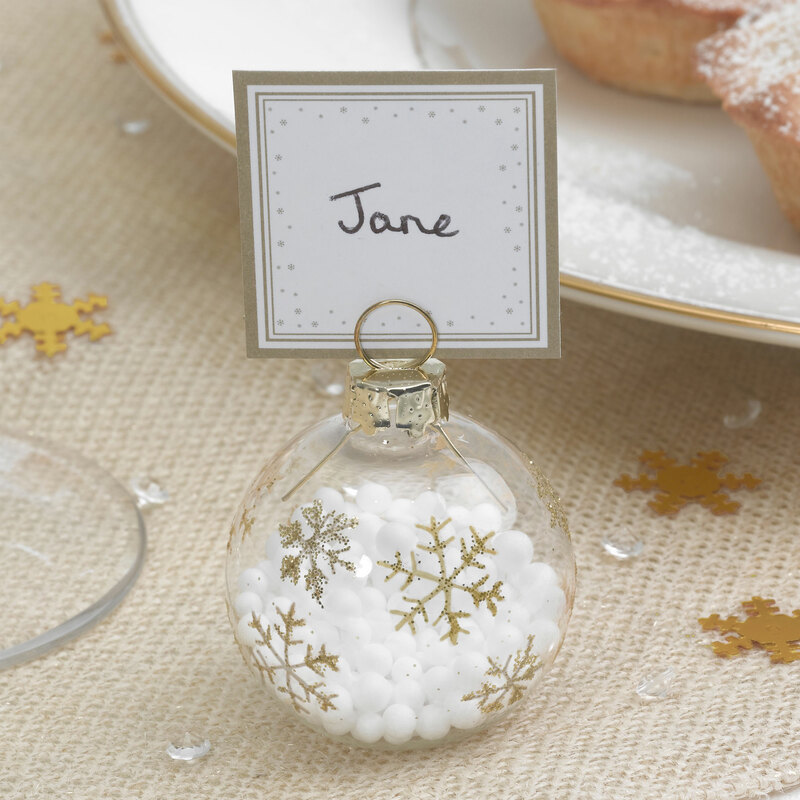 Dot them around your reception venue for a bit of extra festive magic. 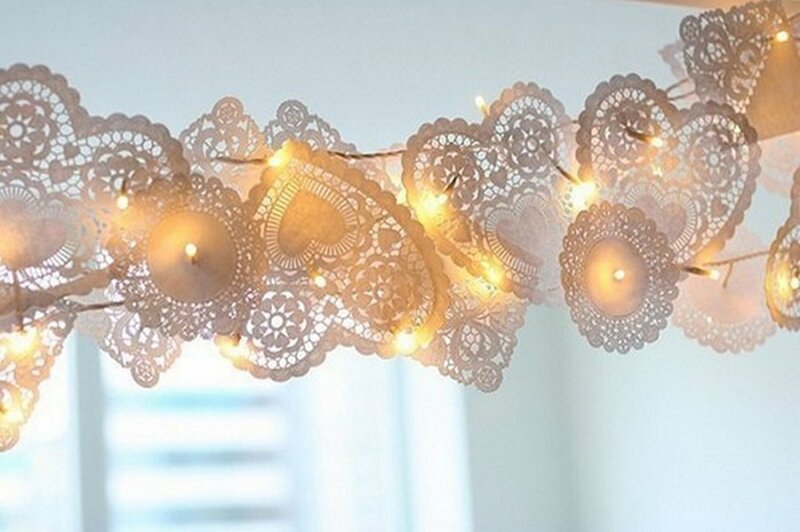 You can also make them into garlands mixed in with lace paper doilies to make it look extra Christmassy. 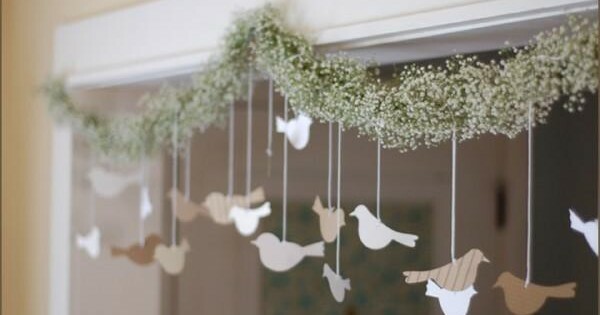 Speaking of garlands, If you're looking for an inexpensive way to replicate a Christmas holly garland, invest in some baby's breath. The white tips make the garland look snow-kissed, perfect for the festive season. Finally, don't forget about adding little Christmas touches for your guests. It's the festive season for them too. 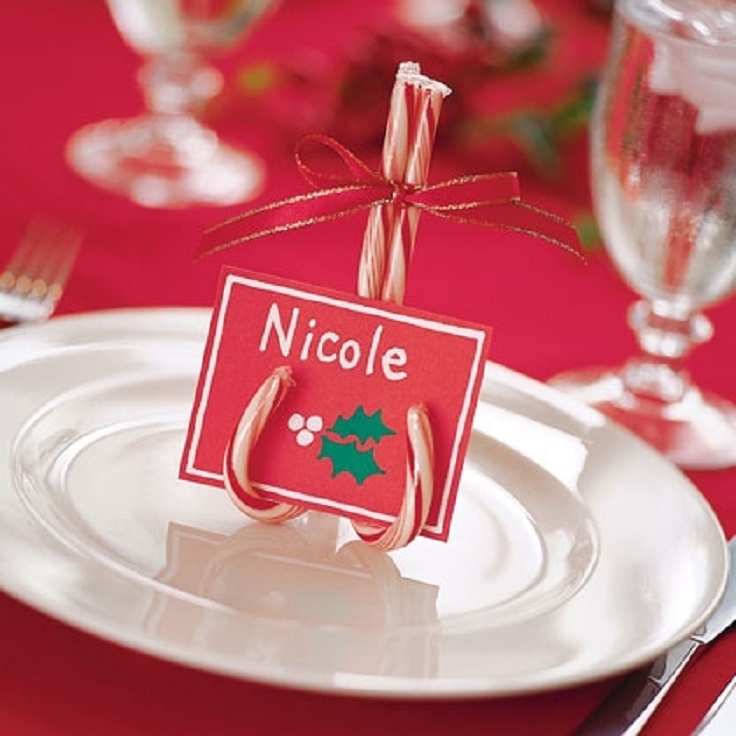 If you haven't planned on leaving your place cards on the table in a particular way, apart maybe from sitting on the plates, then why not use candy canes instead? Just stick three together to make a little place card stand for your guests to keep. 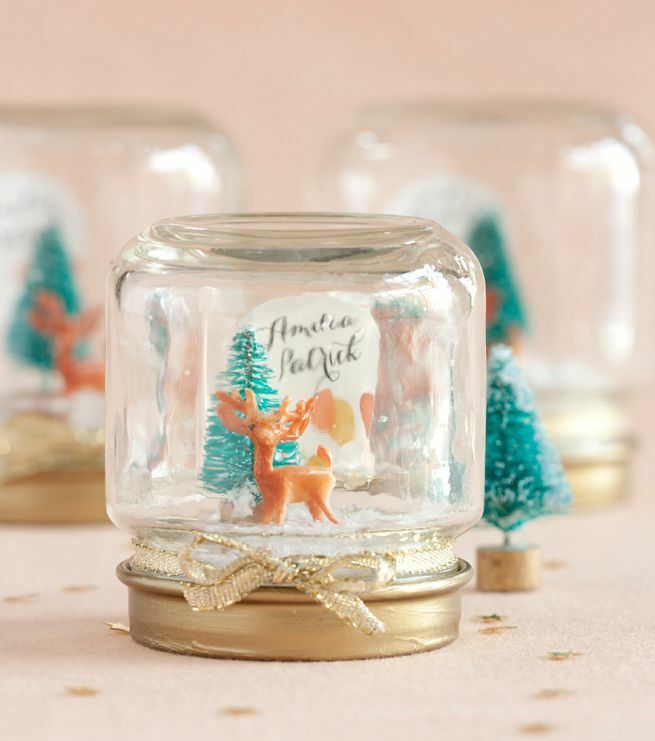 You can also give your guests homemade festive favours for them to take home in the form of snow globes. They're not difficult to make. You just need a jar, some glitter, a little figurine (such as a cake decoration), super glue and a dash of glycerin. Glue your figurine to the inside of the jar lid, fill the jar with water, add a dash of glycerin and a decent amount of glitter and stir. Make sure the jar is filled to the very top and the glue on the lid is dry. Then put the lid on the jar and turn upside down. If you don't have the time to make one for every guest, why not make bigger ones for each table?